A store that represents the bag town of Toyooka. 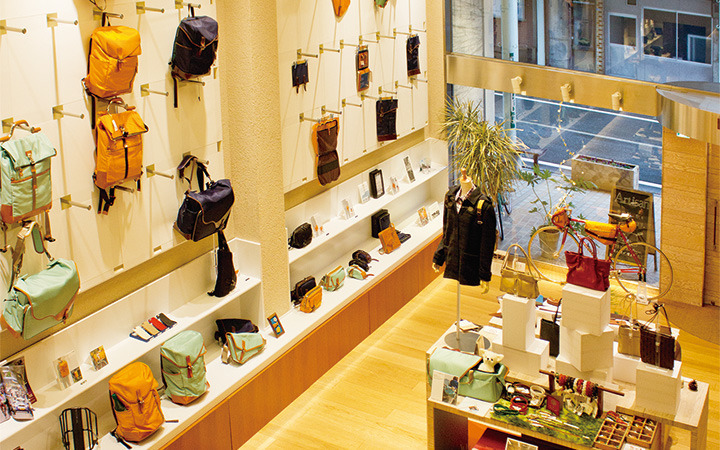 A collective store specializing in the sales of bags, wallets and material used for making bags and such. The Artisan sells original Toyooka branded products. Aritisan is located on “Kaban (bag) Street” in Toyooka City. You can also find a unique vending machine outside that sells small bags.